The company was set up in 1987 as an architectural practice working on the Japanese market, designing homes in Tokyo and several clubhouses for golf courses in the Tokyo area. In 1991 the Fioravanti diversify the activities into services to the automotive industry, focusing in particular on transport and industrial design. Company expresses its philosophy in three concepts: to design is to engrave upon reality style is a means of perception to perceive innovative concepts through awarness of the past. The company headquarters are housed in Moncalieri, an historic town lying in the Piedmont foothills outside the city of Turin, Italy. 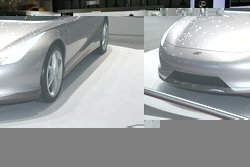 A current topic of the last years, specially for the sports car, is the comeback of the “one-off”. 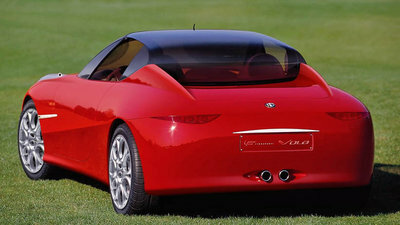 Fioravanti, in its 20th anniversary of activity, caters to the Alfa Romeo lovers proposing this concept, previously showed in Geneve, as base for single pieces. The technical layout that Fioravanti suggest with Vola is the famous and typical Alfa Romeo “transaxle” and it’s possible to adapt with few modifications the existing “transaxle” mechanics. The aim is to give again to the passionate of this glorious brand the typical Alfa Romeo values of agility, sensibility and enjoy of driving. The rotating roof that characterize this concept is an innovative and extremely simple solution and it can operate both automatically or manually. It’s the same system that Ferrari has used for the limited series of 575 Superamerica, such system let to obtain evident advantages for: weight saving, room for luggage and very slight variation in the “baricenter” of the car between open or closed roof. 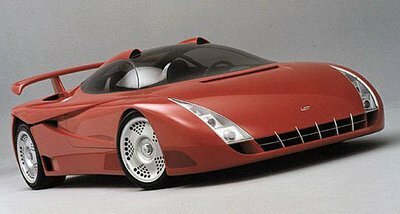 Fioravanti F100, Gran Turismo concept for the year 2000, dedicated to the Prancing Horse: the F100 salutes the centenary of Enzo Ferrari's birth. 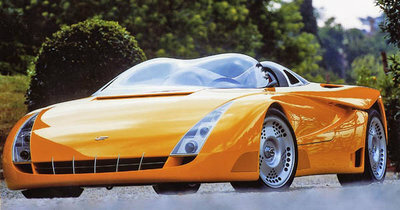 At the 1998 Turin Motor Show, Fioravanti presents the open version of the F100, the F100r roadster. 2007 Fioravanti THALIA, green car.